I will protect and carry you all the days of your life. and even to old age I am he, and even to gray hairs will I carry you. I have made, and I will bear; yes, I will carry, and will deliver. The New International Version Bible translates Isaiah 46:4 this way... Even to your old age and gray hairs I am he, I am he who will sustain you. I have made you and I will carry you; I will sustain you and I will rescue you. This is a Scripture that I often refer to when I am speaking about the importance of embracing a childlike heart even in our old age. In today's passage of Scripture, God is speaking to Israel and He tells them that He is the One who made them, He is the One who will sustain them and He is the One who will carry them all the days of their lives... even when they get old! It doesn't matter if we are two years of age or 102, God is still our Father... And fathers look after their kids. No matter what you are facing in life, the Ancient of Days has promised to carry you and He will be faithful to rescue you in every situation where you need to be rescued. You were never ever created to carry the weight of the world on your shoulders. God is your burden bearer and He wants you to cast every care upon Him because He really does care for you. 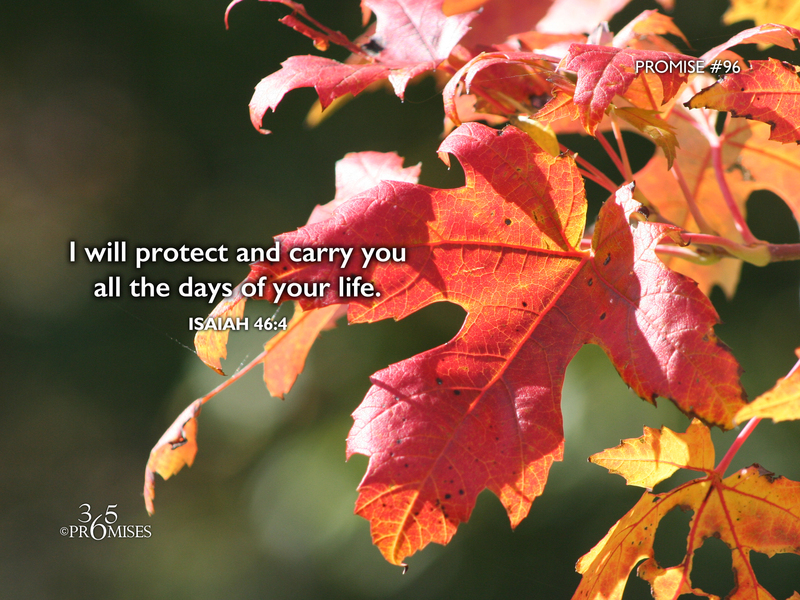 (1 Peter 5:7) He promises to protect and carry you all the days of your life!